At the request of the commission, representatives of 50 homeowner associations have been working on proposals for county-owned property near the Celery Fields in the eastern part of the county. 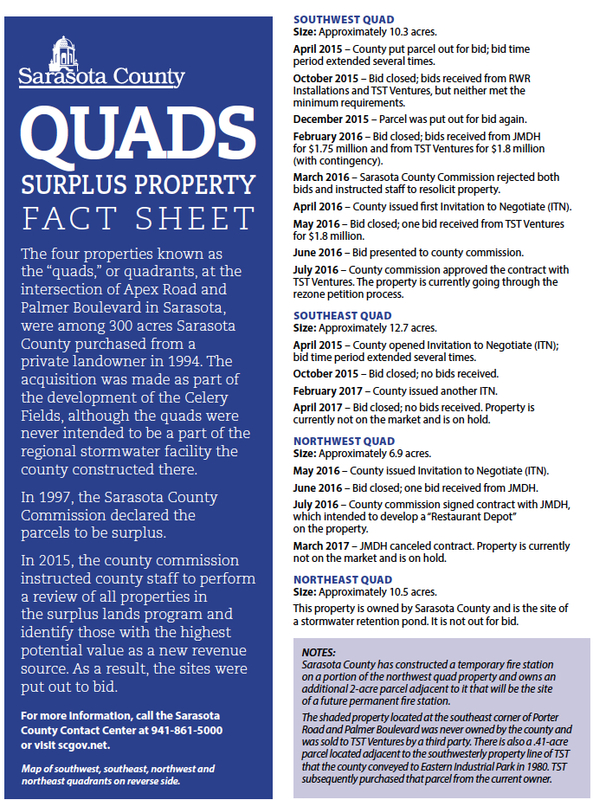 Known as the Quads, the land was left over from a 1994 county purchase of land from a private owner so the county could undertake a major stormwater project. The County Commission has entertained proposals in the past for development on the parcels, but no rezoning application has proven successful. Fresh Start has been given 30 minutes for its presentation and discussion, beginning shortly after 9 a.m. on Wednesday, April 25, it points out in a news release. The public is welcome to attend the meeting, which will be held in the Commission Chambers of the County Administration Building at 1660 Ringling Blvd. in downtown Sarasota. Supporters of Fresh Start plan to wear green tops, the release notes. The Fresh Start Initiative formally began on Nov. 28, 2017, after the commissioners agreed not to sell two of the Quads, so the citizens group could ascertain the wishes of members of the community regarding the future of that property. The board members gave Fresh Start six months to return with recommendations for use of the Southwest Quad; they also sought residents’ views about any future use of the Southeast Quad, with is immediately adjacent to the Celery Fields. The Celery Fields has become an internationally known bird-watching preserve. The results of the Fresh Start Initiative have focused on ways to transform the two parcels, which total 23 acres, “by developing them in ways that would both enhance the natural treasure already there and serve the people of the community,” members of the Fresh Start Executive Council point out in the news release. 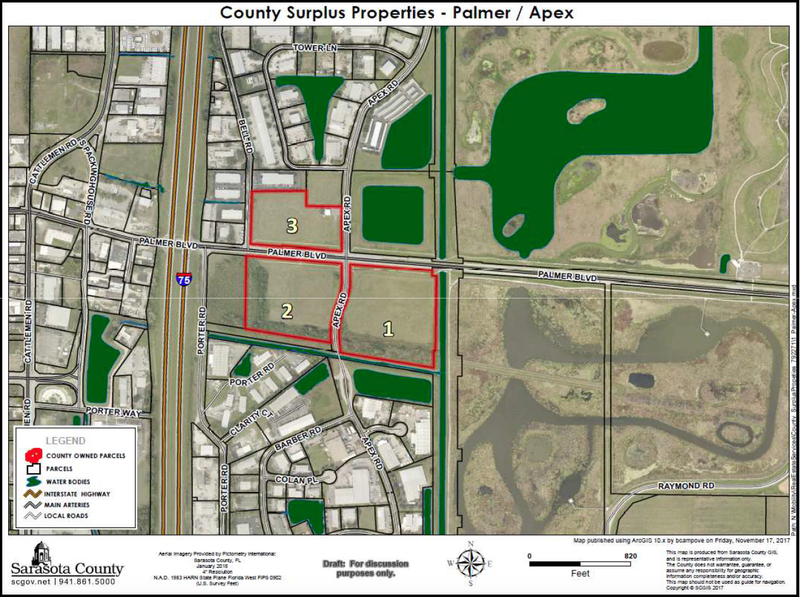 The parcels are at the intersection of Apex Road and Palmer Boulevard. The Southeast Quad, which encompasses 12.7 acres, abuts the western edge of the Celery Fields wetlands, the release points out. “Two bird walks there draw tourists from across the country eager to see some of the rarer of more than 225 species known to visit there,” the release adds. The Southwest Quad Parcel comprises 10.7 acres. The recommendations were vetted both by residents of the community and the Fresh Start advisory panel “for their congruence with four leading criteria: feasibility, economic viability, compatibility with the area, and utility to neighbors, the release explains. Utilizing a weighted vote approach, the roundtable participants selected four proposals — two for each parcel. Those recommendations “offer a variety of public uses combined with private opportunities to offer goods or services on land leased from the county,” said Fresh Start member and Meadow Walk association president Gary Walsh,” the release says. Instead of selling the parcels outright to private developers, they would remain in public hands but provide annual revenue to the county through leases, tourist taxes and employment, the release notes. Over time that revenue could exceed what a one-time sale would bring in, Walsh added in the release. “In some cases, the final ideas combine two or more original proposals,” said Glenna Blomquist of Fresh Start in the release. “There was a creative ferment — ideas evolved along the way,” she added. “Fresh Start grew out of a community uproar over a proposal in 2017 to convert one of the parcels into an open-air demolition waste processing facility,” the release explains. 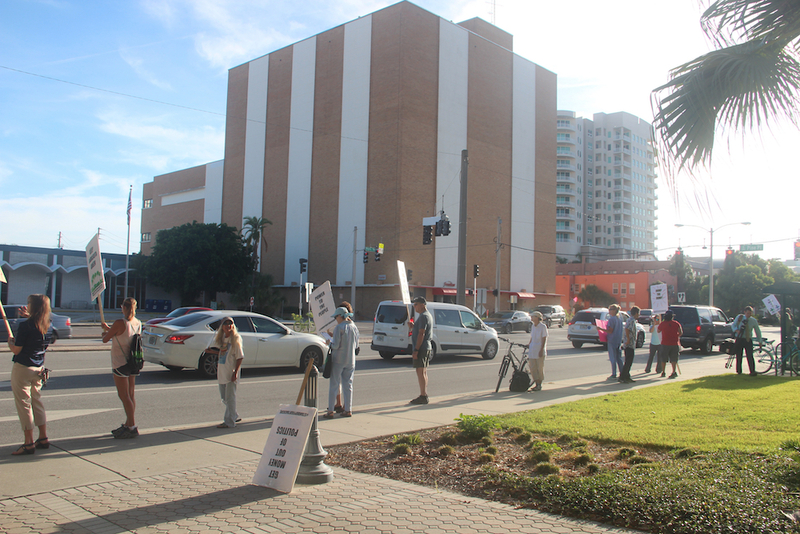 More than 300 residents concerned about traffic, health, noise, environmental harm and property values turned out at the County Commission’s Aug. 23, 2017 public hearing on the petition submitted by TST Ventures. That hearing lasted seven hours before the commissioners voted 3-2 to deny the petition. “The board didn’t use the opportunity to direct staff to review the underlying land use provisions for the area, which were put in place nearly 40 years ago — before many of the residential communities and businesses — before even the Celery Fields area itself — existed,” said Fresh Start council member Carlos Correa, president of The Enclave, a residential community on Palmer Boulevard East, in the release. “That concern prompted the formation of Fresh Start, which offered to research the area, gather community participation and input, and to come back with some conceptual plans within six months of the November 28, 2017 agreement with the Board,” the release notes. “The Initiative here was to facilitate a potential synergy of community vision and county supervision,” said Tom Matrullo of Fresh Start in the release. “We are not backing any specific plan, nor are we associated with any organization behind any proposal,” he added.